Blackberry as a company is now more focused on its security services, and its hardware products are now manufactured by OEM partners like TCL and BB Merah Putih. While BB Merah Putih manufacturers and sells the Blackberry branded devices only in Indonesia, whereas TCL will selling the BB devices in most parts of the world expect India, Sri Lanka, and few others. Today, a new Blackberry device with the model number BBC100-1 was listed on the benchmarking website, GeekBench. This is the same device that was earlier spotted on the Indonesian regulator’s website in December. Since BB Merah Putih will manufacture the BBC100-1, it will be exclusively sold in Indonesia. The device will be running on Android 7.0 Nougat out of the box with the stock UI on top and Blackberry customization including the Blackberry Hub. It runs on a Qualcomm quad-core processor clocked at 1.4GHz, and we expect it to be the Snapdragon 425 SoC. The device also packs 4GB of RAM. Talking about the other specifications, it sports a 5.5-inch display with the HD (1280 x 720 pixels) resolution. Based on the earlier leaks, the BBC100-1 includes 32GB of internal storage along with a MicroSD card slot. In the camera department, there is a 13MP rear camera with LED flash and an 8MP selfie shooter on the front. It comes backed by a 3,000mAh battery that can give at least a day long battery life. 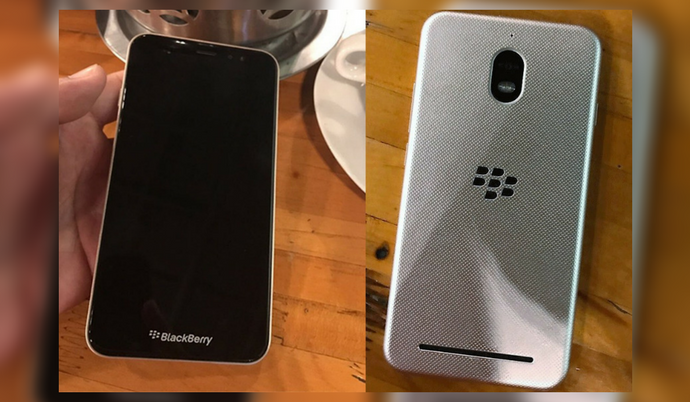 Though there is no official confirmation, the BBC100-1 will be the same Blackberry Aurora that was earlier leaked in all glory. It will also be the first Blackberry smartphone to come with dual SIM dual standby support. The connectivity options on this device include 4G LTE, Wi-Fi, Bluetooth 4.0, GPS, and a MicroUSB 2.0 port. It comes with a polycarbonate shell and lacks the fingerprint sensor. We also have a newly launched Blackberry KEYone made by TCL that is yet to be made available in the Indian market. It comes with a touchscreen along with capacitive QWERTY keyboard. It comes with a 4.5-inch with Full HD (1620 x 1080 pixels) resolution offering 3:2 aspect ratio. It includes the best in class Snapdragon 625 octa-core processor clocked at 2.0GHz coupled with Adreno 506 GPU. There is 3GB of RAM and 32GB of expandable storage. The Spacebar on the fourth row of the QWERTY keyboard comes integrated with a fingerprint sensor. The 3505mAh non-removable battery on this device might be good enough to give a day long battery life considering the smaller screen size. There is a 12MP Sony IMX378 sensor with auto-focus, PDAF, f/2.0 aperture, and dual-tone LED flash. It also includes an 8 MP front-facing camera with wide-angle lens and a single LED flash. Stay tuned on Phone Radar for more details about the upcoming Blackberry smartphones.